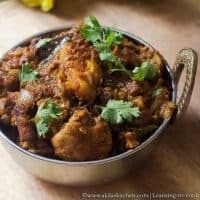 Chicken masala for beginners is very easy recipe and this one is especially for the beginners in cooking and for the bachelors who think cooking chicken masala is very tough. 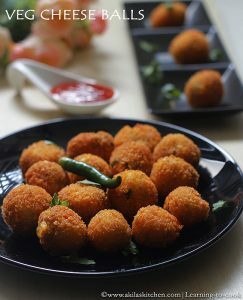 Chicekn masala for beginners recipe with step by step pictures for your easy understanding and learning. Chicken Masala is one of favorite dish. It is simple to make yet tastes great. 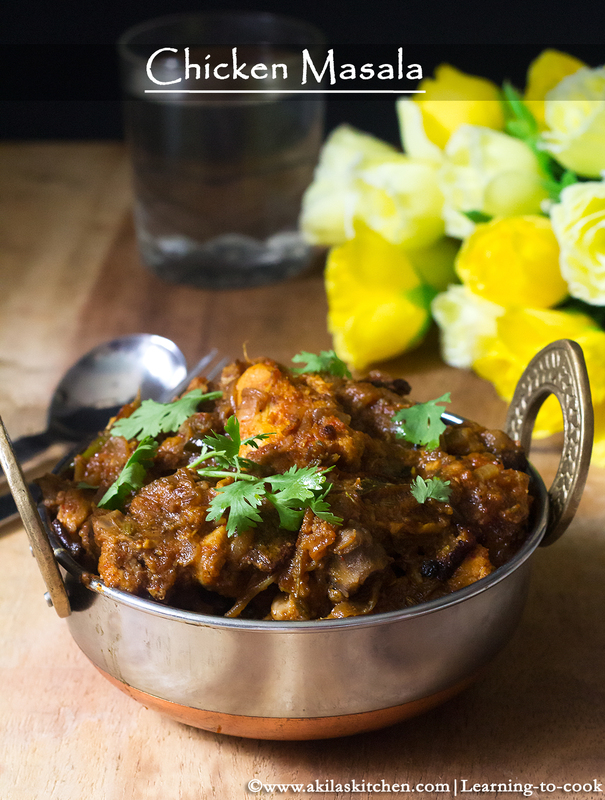 This recipe is mainly for the beginners and bachelors who wants to try this chicken masala at home. When I came first time to singapore my husband bought some chicken masala powder and tried this dish and said his friend used to prepare the chciken masala that way. Ooh… I don’t like that taste with store bought masala. We hardly completed that dish. The next week, I called my mom and asked for the recipe. I followed the recipe and the result is awesome. So people who start learning the cooking and bachelors out there, can find this chicken masala to an an easy one. So try it and let me know the outcome. Here we go for the recipe. 1. Wash the chicken with salt nicely. Add the chilli powder, turmeric powder, coriander powder and mix well. Allow to rest for 30 min atleast. 2. In a wok or kadai, add 5 tsp oil and when it is hot add all the spices one by one and finally the curry leaves. Add the onion. 3. Let the onion become translucent. Now add in the tomatoes. 5. Add in the marinated chicken pieces now. Add 1 cup water mix well. 6. Close with a lid and let the chciken gets cooked for 10 min. Now add in the chilli powder, coriander powder, cumin powder and required salt. 7. Let it cook for another 5 min. Add the garam masala powder now. Mix well and sprinkle some water and allow the chciken to get cooked in the masala powder. 8. Cook till the oils oozes out. Add gingelly oil at this time. Wait for 2 min. Garnish with coriander leaves and serve hot. Tempting Chicken Masala is ready for serving. 2. If you need a little more tangy, you can add 2 tsp of tamarind pulp. 3. Adding 1 tsp gingelly oil enhances taste. 4. Spiciness can be adjusted according to your taste buds. Above mentioned are for my family taste buds. Chicken Masala is one of favorite dish. It is simple to make yet tastes great. 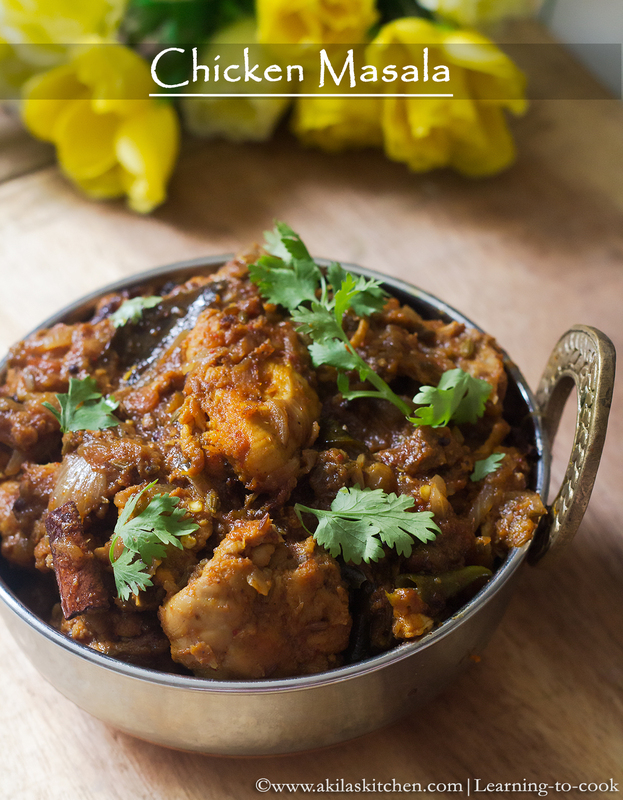 This recipe is mainly for the beginners and bachelors who wants to try this chicken masala at home. When I came first time to singapore my husband bought some chicken masala powder and tried this dish and said his friend used to prepare the chciken masala that way. Ooh… I don’t like that taste with store bought masala. We hardly completed that dish. The next week, I called my mom and asked for the recipe. I followed the recipe and the result is awesome. So people who start learning the cooking and bachelors out there, can find this chicken masala to an an easy one. Wash the chicken with salt nicely. Add the chilli powder, turmeric powder, coriander powder and mix well. Allow to rest for 30 min atleast. In a wok or kadai, add 5 tsp oil and when it is hot add all the spices one by one and finally the curry leaves. Add the onion. Let the onion become translucent. Now add in the tomatoes. Add in the ginger garlic paste and the green chillies. Sauté till the raw smell of the ginger garlic goes off. Add in the marinated chicken pieces now. Add 1 cup water mix well. Close with a lid and let the chciken gets cooked for 10 min. Now add in the chilli powder, coriander powder, cumin powder and required salt. Let it cook for another 5 min. Add the garam masala powder now. Mix well and sprinkle some water and allow the chciken to get cooked in the masala powder. Cook till the oils oozes out. Add gingelly oil at this time. Wait for 2 min. Garnish with coriander leaves and serve hot. 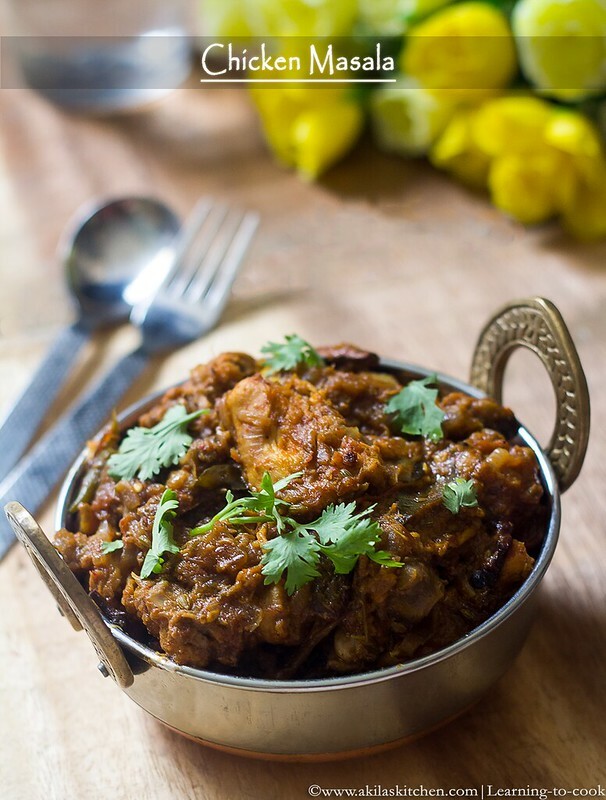 Serve this hot chicken masala with rice or Biryani or Naan or dosa. Anything goes well with this. I made this masala bit sry as I like the dry version. If more onions and tomatoes are added, you can make it a bit gravy. If you need a little more tangy, you can add 2 tsp of tamarind pulp. Adding 1 tsp gingelly oil enhances taste. Spiciness can be adjusted according to your taste buds. Above mentioned are for my family taste buds. *Post first published on May 7th 2014. Updated with recipe.